From art for a dollar to a giant dragon, check out five things from day 1 of The Armory Show. The Presents Booth Prize - which is awarded to a young gallery exhibiting at the fair - went to Seattle's Mariane Ibrahim Gallery on day 1 of the show. The gallery, which has been in business for 5 years, is holding a solo show of German-Ghanaian artist Zohra Opoku's work which caught the eye of the judges. Inspired by her Ghanian heritage, Opoku explores African identities in terms of fashion, history and culture through multi-media installations. 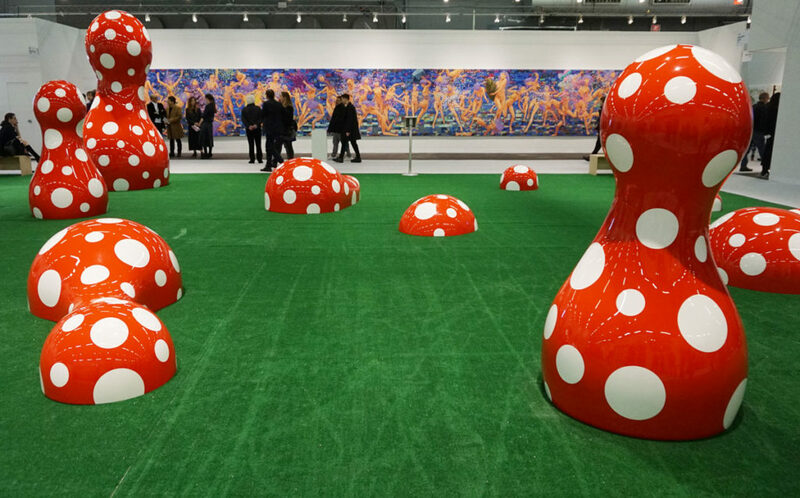 Large-scale sculpture is taking centre stage this year, The stand-out piece is Yayoi Kusama's Guidepost to the New World, 2016, a new piece from the artist which stands at an impressive 40-by-49-foot. The work features Kusama's signature spots in red and white and is presented by Victoria Miro as part of the inaugural Platform sector curated by Eric Shiner. On opening day, one edition of the installation was bought buy an international collector for the sum of around $1 million. 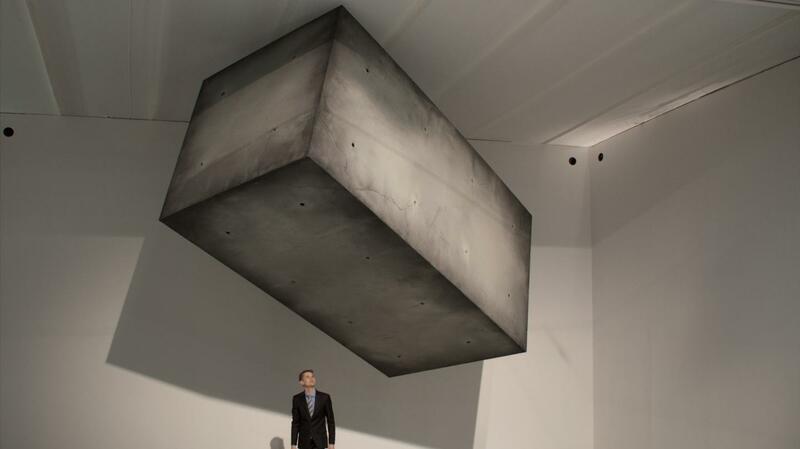 It seems this year that larger sculptures are in the spotlight this year at The Armory. Glenn Akira Kaino's Rebis, 2016, presented by Los Angeles gallery Honor Fraiser, is an example of how, since his 2007 performance The Burning Boards at the Whitney in 2007, Kaino's work, quite literally, plays with fire. For the piece at The Armory, charcoal planks are piled high double cross crucifixion with two gold masks. Phrases such as ''the personal is political'' are marked on the charcoal planks, which give the appearance of being burned, thanks to artificial flames. 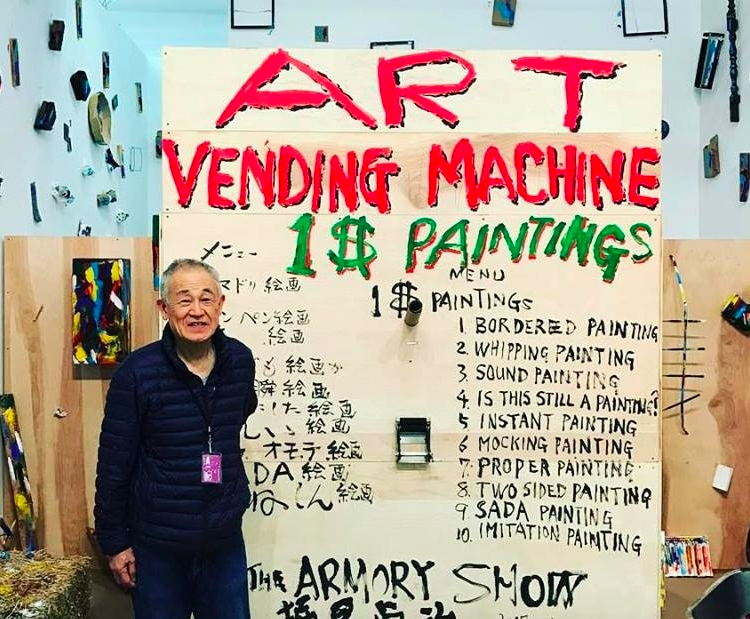 Still proving that larger sculptures are a key trend at the fair, Sadaharu Horio's Art Vending Machine: $1 gives fairgoers the chance to buy Amory original painting for a dollar. Like Kaino's burning charcoal planks, there is something quite dark behind Horio's piece. 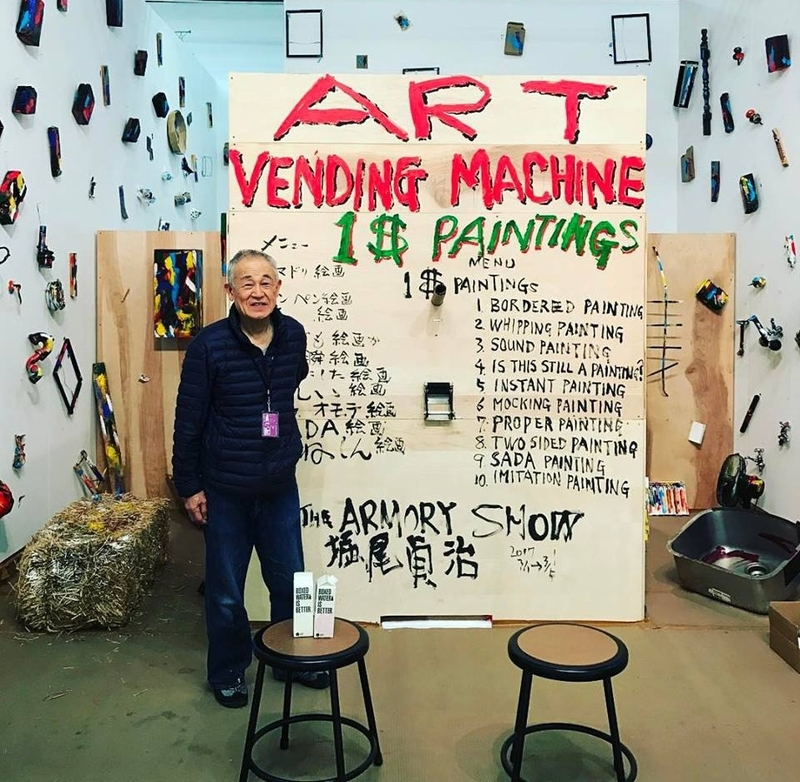 As the Western collectors at the fair are amused by the Japanese artist's kooky pieces, the reality is they are literally laughing in the face of a working artist who is quickly creating a piece which wold appeal to the Modern West. A wire dragon, piano and a floating breeze block, you'll be forgiven if you bump into your fellow fairgoers this year, as so much art takes to the skies, well ceilings of Piers 92 & 94. The Armory Show is on until 5th March at Piers 92 & 94, New York. See here for more information.